Simple Details: now is the time...just do it! 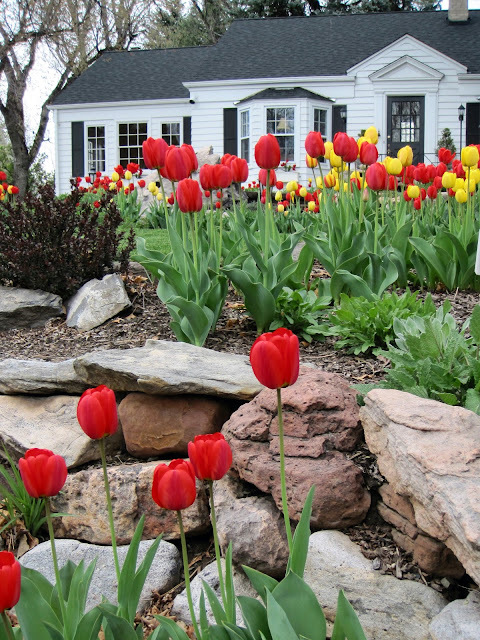 your yard is amass with beautiful tulips in bloom! Here is how simple it can be! Dig ONE large hole per 10-15 bulbs! Your own beautiful piece of the Netherlands right in your own yard! I am so inspired. I am loving your blog! Thank you for this reminder. 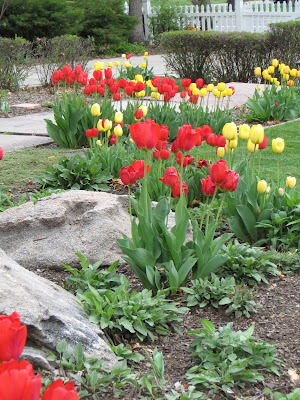 I really want to add tulips & daffodils for cutting this fall. Love the pop of color against your black and white house.